The amount of the settlement was relatively small for Infosys, a Bangalore-based global enterprise with 160,000 employees worldwide and reported revenues of $7.9 billion, 70 per cent of it from consulting in the United States.But the case added to intensifying legal scrutiny and political skepticism in the United States facing Indian companies that use temporary visas to bring in thousands of guest workers each year for technology and software jobs in U.S. companies. As part of the settlement, Infosys acknowledged major errors and omissions in records it kept on its employees in the United States, including Indian temporary technology workers brought in for contract work with U.S. companies. But it did not admit to systematic fraud, and the agreement includes a point-by-point rebuttal of prosecutors' accusations that it tried to increase profits by illegally using short-term business visitors' visas to bring workers from India instead of a more expensive and less accessible temporary employment visa, known as H-1B. "This is not a settlement about systemic visa fraud," Stephen A. Jonas of WilmerHale, the lead lawyer representing Infosys, said Wednesday after the settlement was made public by prosecutors in Plano, Texas, where Infosys has offices. "The company adamantly denies the visa abuse allegations. They are not true." But federal prosecutors and investigators insisted Wednesday that they had uncovered extensive misuse of visas at Infosys. 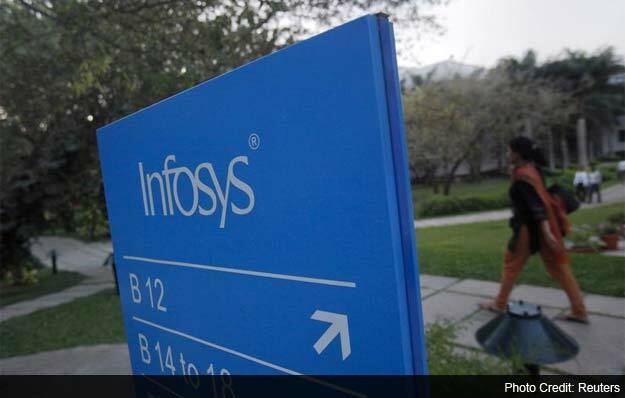 They said they had agreed to the settlement because Infosys had cooperated with the investigation and moved speedily to overhaul its record-keeping and improve its visa procedures. "While Infosys is not admitting any wrongdoing, its leadership did appreciate there were substantial problems in the way they were conducting business in this country," said John Malcolm Bales, the U.S. attorney for the Eastern District of Texas, in Plano. "We think they've cleaned up their act." Each year there is a scramble among technology companies for H-1B employment visas, because there is a basic annual cap of 65,000 visas. In the past three years, Infosys and two other Indian companies - Wipro and Tata Consultancy Services - were among the top five recipients of those visas, according to Ron Hira, a professor at Rochester Institute of Technology who studies the visa system. The largest user, Cognizant, is a U.S. company that brought in nearly 18,000 foreign workers, almost all from India, Hira said. U.S. technology companies have been clamoring for an increase in H-1B visas, saying they face shortages of Americans with advanced skills. A large increase was part of broad immigration legislation that passed the Senate in June, and there is also a measure to raise the limits before the House of Representatives.But the Senate bill also included new protections for Americans that would make it more difficult for foreign outsourcing companies to bring in temporary workers. "In the past few years, there has been a real assault by the federal government on the information technology consulting industry, and it has hit the Indian companies particularly hard," said Avram Morell, an immigration lawyer in New York. Infosys has disputed the government's accusations. Jonas, the company's lawyer, said the government had failed to prove that foreign workers on business visitor visas, known as B-1, were doing any work that was not authorized under their visas. He said no evidence had emerged that any foreign workers ever remained in the United States after their visas had expired. "The vast majority were illegitimate," said George M. Nutwell, a special agent in charge of the State Department Diplomatic Security Service in Houston.Investigators went to the U.S. companies where the B-1 workers were placed and discovered that they were doing programming and technology engineering work similar to H-1B workers. The business visitor visa is primarily for attending training sessions and meetings, not for work. "Infosys cheated, plain and simple," Nutwell said.